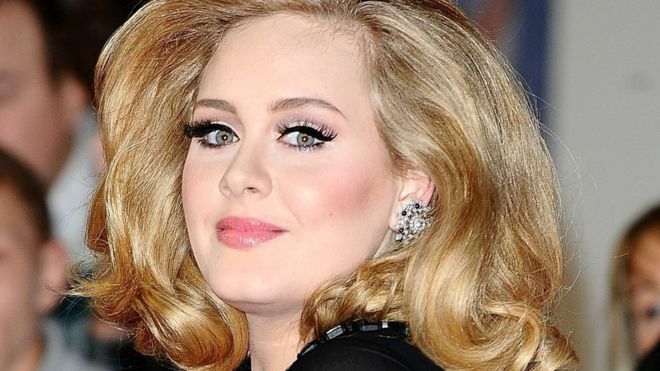 Adele’s comeback single Hello has achieved platinum sales status three weeks after it was released. The song has sold more than 600,000 copies, earning it a commendation from the British Phonographic Industry. Hello sold 34,000 more copies than this week’s number two, Justin Bieber’s Sorry, and was the most-streamed track with 4.7 million listens. Elvis Presley’s If I Can Dream was the number one album for a second week. Presley’s classic songs, reworked with the Royal Philharmonic Orchestra, had a better run that its first week with 88,600 combined sales. It is just short of the 2015 record set by Noel Gallagher’s High Flying Birds, who sold 89,110 copies of Chasing Yesterday in March. Former X Factor winners Little Mix’s third album, Get Weird, charted at number two, while Ellie Goulding’s third solo album Delirium entered the charts at three. A re-issue of The Beatles’ album 1, which originally spent nine weeks at number one in 2000, also made the top five. Ed Sheeran set a new record as his album x became the longest reigning in the top 10 for a British artist. It has been in the chart for 73 consecutive weeks after being released in June 2014. Adele’s long awaited new album 25 is due for release on 20 November.